PARTS OF SOUTH Dublin will be hit by major problems with the water supply for a period of around eighteen hours on Sunday. Dublin City Council said essential works mean there will be reduced pressure and a loss of supply from 6am until midnight. The areas likely to be affected are between Rathmines Road and Ranelagh Road in Dublin 6, and between Chelmsford Avenue and Leeson Street Upper, as well as all surrounding areas, the Council said in a statement. Mobile water tankers will be brought to areas where they are needed in response to requests from the general public and businesses. 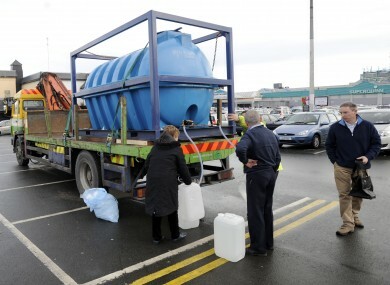 Dublin City Council said the works are needed to significantly improve the water pressure in the area. The council apologised for the disruption to service and said all efforts will be made to carry out the work in the shortest possible timeframe. Email “Council says some Dubliners face water shut-off on Sunday”. Feedback on “Council says some Dubliners face water shut-off on Sunday”.